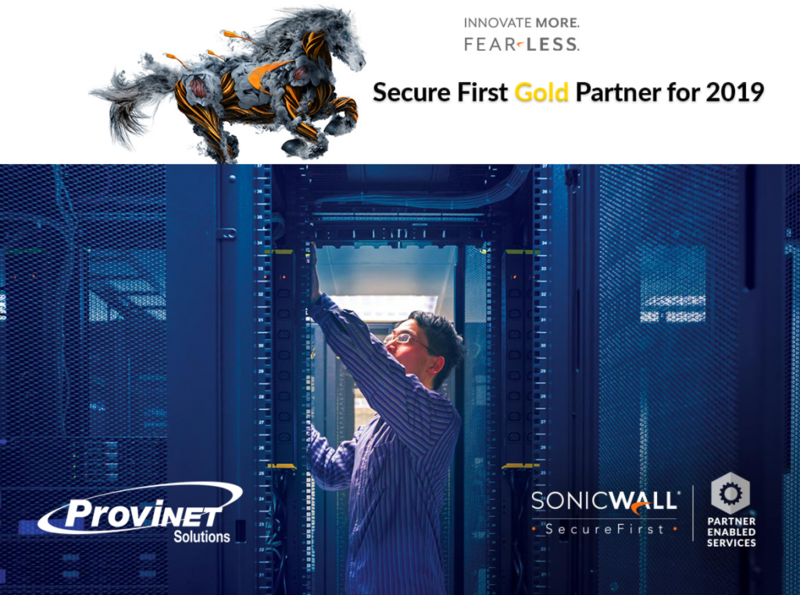 ProviNET Solutions and SonicWall have teamed up this month to provide vital resources to help your organization with cybersecurity. Most managed IT service providers recognize that SMBs don’t have the awareness, knowledge or resources to implement cyber defense mechanisms to effectively protect their data, devices and people. the Internet, but also segregated the paths for staff, residents, and guests on the network. With these objectives in mind, UMC partnered with ProviNET Solutions in the design and implementation of a new wide-area network topology. Healthcare IT systems are increasingly being integrated across enterprises, between different care providers, and opened up to outside information service providers, patients, and communities. The number and complexity of applications and systems being interfaced creates a daunting task for IT staff to implement and manage. As this dynamic has gained momentum, a matrix of concerned entities across government and the healthcare community has provided guidance as well as impetus for the change. Next-generation firewalls (NGFWs) have become the new norm in network security for organizations of all sizes. Unlike their predecessors which offered limited protection from today’s continually evolving threats, NGFWs deliver a much deeper level of security across wired and wireless networks. Not only do they inspect every byte of every packet while maintaining the high performance and low latency that busy networks require, they also combine high-performance SSL decryption and inspection, an intrusion prevention system (IPS) that features sophisticated anti-evasion technology and a networkbased malware protection system that leverages the power of the cloud. This powerful combination enables organizations to block sophisticated new threats that emerge on a daily basis. SonicWall NGFWs provide organizations of any size a deeper level of network security without compromising network performance. Designed with a scalable, multi-core hardware architecture and a patented1, single-pass, low latency, Reassembly-Free Deep Packet Inspection® (RFDPI) engine, these high-performance security appliances efficiently scan all traffic regardless of port or protocol. In addition to advanced SSL decryption and IPS capabilities, SonicWall NGFWs also have access to a continually updated cloud database that contains tens of millions of malware variants. In addition they are easy to manage and deliver a low total cost of ownership. Ransomware can make its way onto a system through a variety of means, with the victim ultimately downloading and installing a malicious application. Once on the device, the app will spread throughout the system and encrypt files on the hard drive or simply lock the system itself. In some cases, it may block access to the system by displaying images or a message across the device’s screen to persuade the user to pay the malware operator a ransom for the encryption key to unlock the files or system.